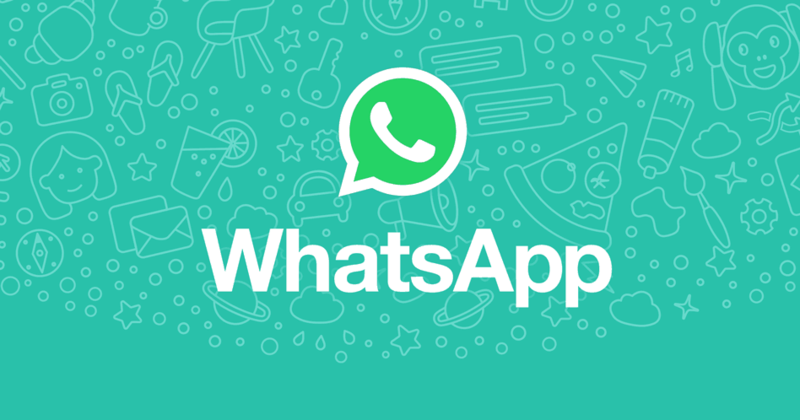 WhatsApp two step verification:- WhatsApp is the biggest and most popular instant messaging app. It has billions of users across the globe. To provide more security to these users, they have started the two step verification. How can you get it for yourself will be explained later. It is currently available for the Beta users of Windows Phone and Android. If you own an Android phone and have the beta version 2.16.341 or above, then you will be able to activate the WhatsApp two step verification process for your phone. In the case of Windows Phone, you need to be running the beta version, 2.16.280 or higher, to enable the security feature. This is a great security feature and we would recommend everyone to activate as soon as possible. Take the following steps to do so on an Android phone. 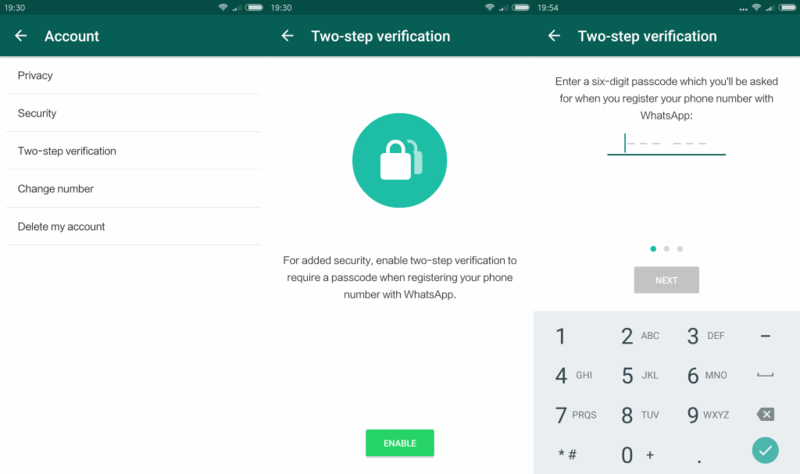 How to enable WhatsApp two Step Verification on Android phone. Make sure that you are a Beta tester and have the latest or 2.16.341 version installed. Select the new entry – Two step verification. Enter your e-mail address. This is important because in case you forget your passcode or want to disable the security feature, your e-mail will be used. Click on Next and it is done! 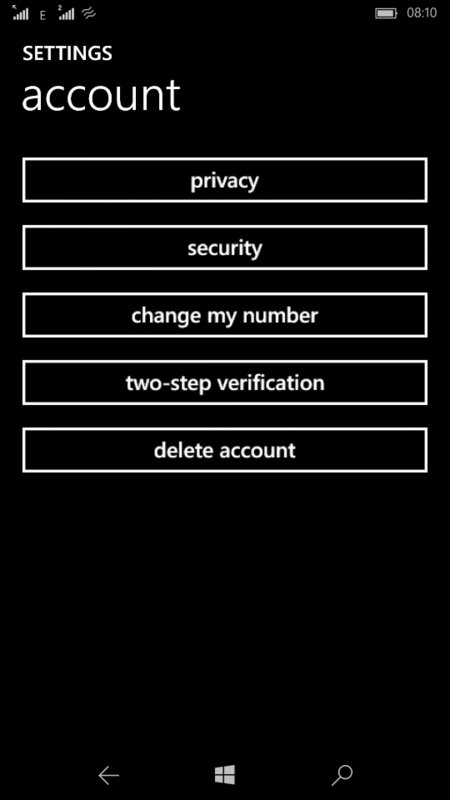 Follow these steps to activate the two step verification process on your Windows Phone. Make sure that you the beta version (2.16.280 or higher) installed on your phone. Then choose ‘Enable’. Congratulations, it is done. There is something you need to know about the WhatsApp two step verification. If you forget the passcode, you will not be able to use WhatsApp for 7 days. WhatsApp does not allow re-verifying of the passcode for 7 days since last use. This means bye-bye to WhatsApp for a week in case you forget it! 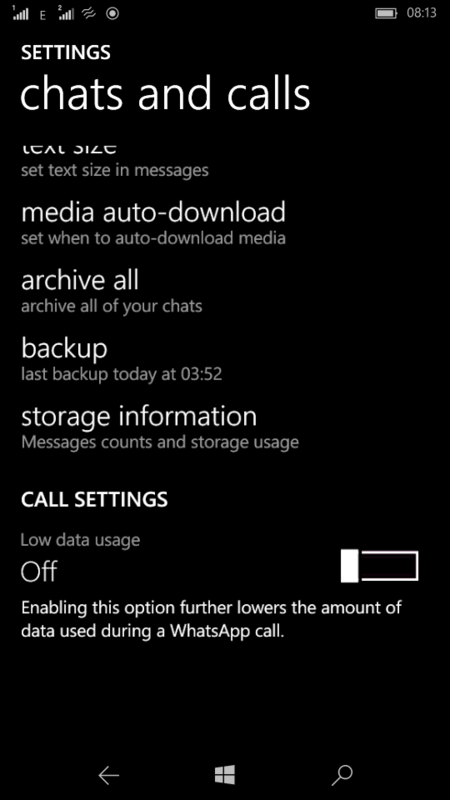 In Windows Phone, the beta version now also display the storage information. It reveals how much of space the media files, conversations and calls logs have been using up. You check this at Setting/Chats & Calls/Storage Information. In Android phones, the beta version now has the support to play audio files you receive even after you close the conversation. In fact, the audio will continue to play even after you close the app. That is rather a useful feature, don’t you think? It is ironic that again iOS has been left out of the mix. When the video calling feature (beta) was introduced, at that time too the iOS was neglected. This time too the security feature has been introduced only on Android and Windows Phone. Penny for your thought? That was all about the WhatsApp two step verification. Stay tuned for more updates.